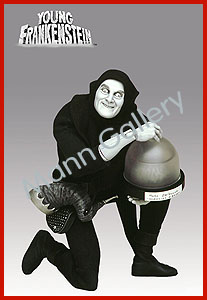 YOUNG FRANKENSTEIN - LIMITED EDITION SET! 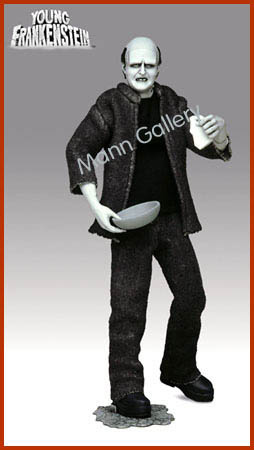 The three characters in the set: Frederick (Gene Wilder), The Monster (Peter Boyle), and Igor (Marty Feldman) are part of the 12" figure limited edition series. Each 12" figure contains over 20 points of articulation and is packaged separately in a full color collector's display box. Frederick features the uncanny likeness of Gene Wilder as Dr. Frankenstein. 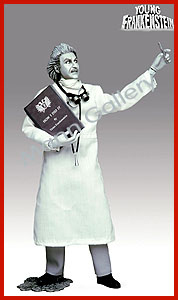 Frederick comes with a 'how I did it' book, a scalpel, stethoscope, magnifying goggles, doctor's mask and a stone textured foot base. The Monster features the likeness of Peter Boyle. The Monster comes with a soup bowl, broken mug, flower, shackles, interchangeable hand with burning thumb and a stone textured foot base. Igor features the likeness of Marty Feldman. Igor comes with a brain, a brain display case, walking stick, Ram's Horn Trumpet and a stone textured foot base. There is only 7,500 sets of this limited edition series. Artist/sculptor Mat Falls has worked with makeup maestro Rick Baker and on such films as Francis Ford Coppola's "Bram Stoker's Dracula" and Steven Spielberg's "Hook." He has had a background in special makeup effects and had an affinity since he was a kid to monsters in general -- not just the classics! 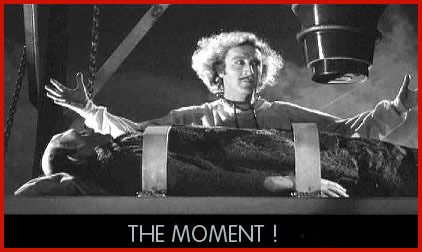 The 1973 movie Young Frankenstein was directed and co-written by the grand master of satire, Mel Brooks. 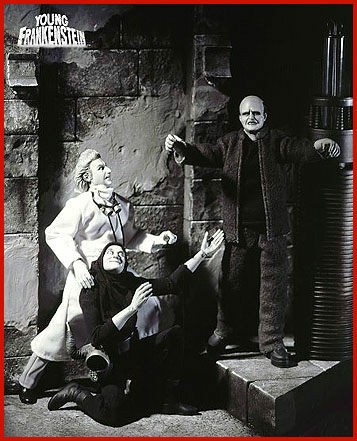 Young Frankenstein is a satirical remake of Mary W. Shelley's literary classic. 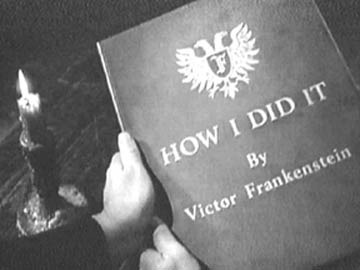 It is touted as the funniest Frankenstein movie ever made. 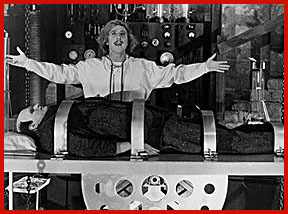 Young Dr. Frankenstein/Frederick (Gene Wilder) travels to Transylvania his ancestral home to deal with his grandfather's (Dr. Frankenstein's) estate and stumbles upon his father's laboratory and journal, which explains how to reanimate corpses. Assisted by the hunchback Igor (Marty Feldman) and the curvaceous Inga (Teri Garr), he creates The Monster (Peter Boyle) who only wants to be loved. unfortunately there is a hitch--his assistant, Igor (pronounced "Eye-gor"), brings him the wrong brain. So, once again, the deranged monster romps through the local village, chased by peasants with torchesThe film is best known for its hilarious dialogue and outrageous moments. CLICK HERE TO SEE NOSFERATU THE VAMPYRE! CLICK HERE TO SEE THE BRIDE OF FRANKENSTEIN SET! Do to send us E-Mail!